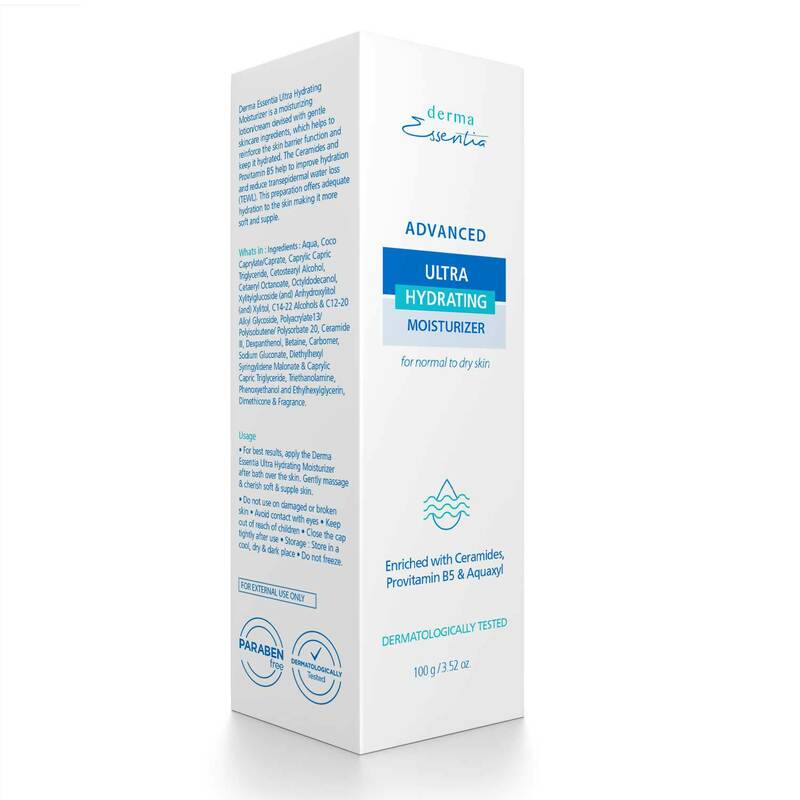 Derma Essentia Advanced Ultra Hydrating Moisturizer for face and dry skin enriched with triple power of Ceramides, Provitamin B5 & Aquaxyl to reinforce the skin barrier function, bring hydration, reduce transepidermal water loss and it keeps the skin almost twice as hydrated and delivers instant moisture boost. Skin appears plump, dewy and glowing from the inside out. 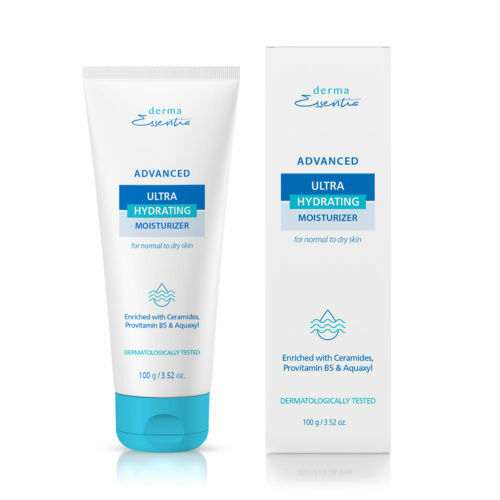 Our advanced Ultra Hydrating best Moisturizer for dry skin has long-lasting moisturizing power to quench your skin’s extra thirst. 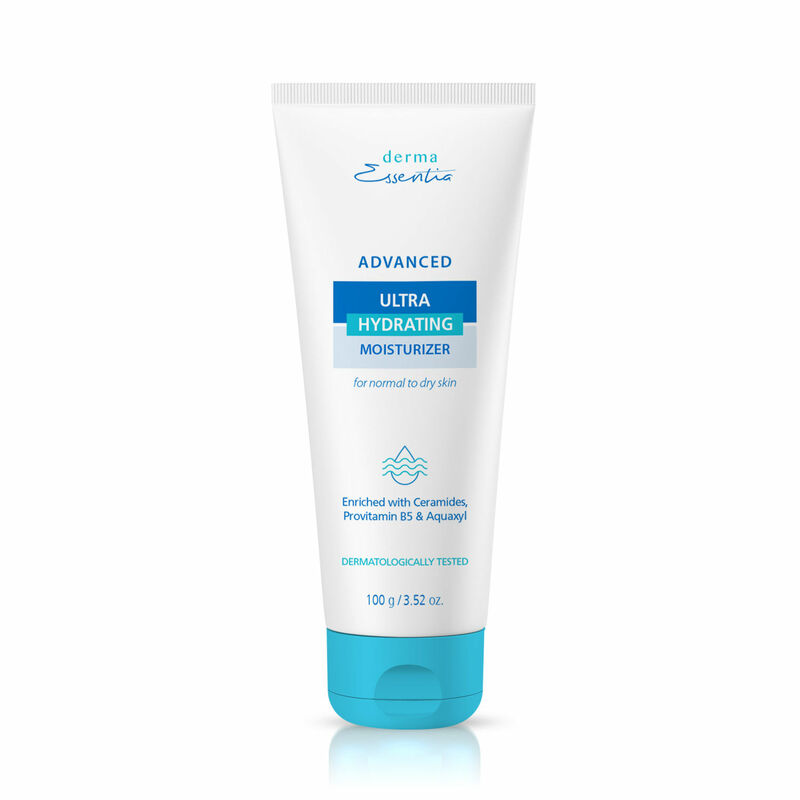 It helps to restore skin’s natural barrier against moisture loss. Shop Now for beautiful skin today and more youthful skin tomorrow. 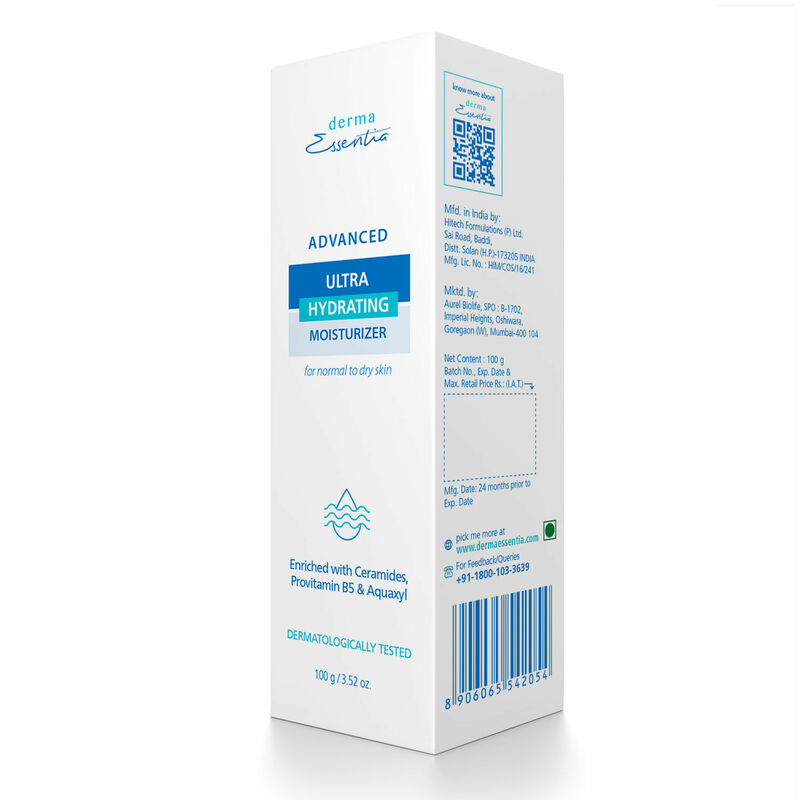 Aqua, Coco Caprylate/Caprate,Cetostearyl Alcohol, Cetaeryl Octanoate, Octyldodecanol, Xylitylglucoside (and) Anhydroxylitol (and) Xylitol,Ceramide III, Dexpanthenol, Betaine, Carbomer, Sodium Gluconate, Diethylhexyl Syringylidene Malonate & Caprylic Capric Triglyceride, Phenoxyethanol and Ethylhexylglycerin, Dimethicone & Fragrance. 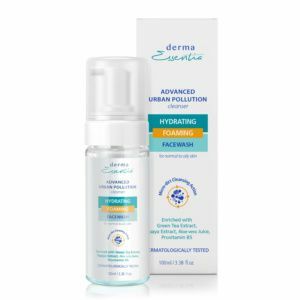 Before applying moisturizer, wash your face or body. Dab the moisturizer on the skin, gently massage to allow it to properly absorb into the skin Cherish soft & supple skin.